Finding the perfect investment property isn’t always an easy task. In many cases, investors will look at dozens of homes before selecting one that suits their needs. When trying to find property in age-restricted communities, it can be even more difficult to discover the best investment. This isn’t due to the lack of availability; it is due to the abundance of choices available. By working with a Gloucester County real estate agent, you can learn more about what is available in each community, helping you make better choices when it comes to your real estate investment. Why Choose Gloucester County Homes for Sale? 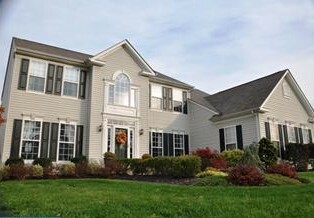 Many investors overlook Gloucester County homes for sale in active adult communities. In some cases, this is because they do not meet the age requirements of the community themselves. This limits them in their search for foreclosures and makes it harder for them to find real estate investments in their area. One of the biggest benefits of working with a Gloucester County, NJ realtor is that they can help you discover these communities. They can help you find an abundance of investment properties within each community or help you find the resources you need to make a decision. Many of the single family detached homes for rent in adult communities are owned by investors. There are many other benefits to choosing investment properties in age restricted communities. For example, if your community has a more involved home owner’s association, your rental or investment property may stay in better condition. You are also more likely to preserve the value of your property because the community is well-kept and has a bigger restriction on who resides there. This can make a huge impact on how you see the property and the return on investment you receive. A Gloucester County realtor would be happy to go over the benefits of investing in real estate with you. Expand your portfolio or explore foreclosures in your area with their expertise. You will be surprised by the opportunities that are available. It’s no surprise that working with an experienced real estate agent Gloucester County is highly recommended. While many new investors want to explore opportunities on their own, a real estate agent can help you find undiscovered properties. Your real estate agent may be able to help you find homes that are likely to go into foreclosure or investment properties that have just entered the market. This gives you a distinct advantage over working alone. Before you can start investing in a home in a 55 and over community, you will need to research the rules of ownership established by the community. Each adult community is a little different and will set its own rules for investors. Your real estate agent can help you ensure that you are following the rules of buying, renting or selling your home in an age-restricted community. You can even purchase some of these properties by using a HECM for purchase (reverse mortgage for purchase) and only put down a fraction of the homes' value without having a mortgage payment. Visit this website to see how. Don’t feel limited to investing in one age restricted community. While each one is different, a real estate agent in Gloucester County will help you stay organized. This means that you can easily invest in multiple communities and stay within their regulations. Experienced agents usually have helped investors buy, sell and rent in multiple locations across South Jersey. Investing in a new home in a retirement community can help you save money later on. Many new investors are purchasing space in age restricted communities to rent out and then reside in once they are ready to retire. This helps them save money on living costs and gives them a better understanding of what their costs will be once they move in. If you are planning on purchasing Gloucester County real estate New Jersey to flip or “fix up,” you can also look into low-cost foreclosures in age restricted communities. Many of the communities in South Jersey offer traditional single family homes, which gives you the flexibility to remodel to meet modern market demands. By purchasing a home at a foreclosed price and then remodeling it to suit your or your client’s needs, you can save money. If you are hoping to find the lowest price homes in 55 and over communities, then contacting a real estate agent Gloucester County is one of the best things you can do. An agent will help you find homes that fit your investment budget and will help you find new ways to save money. Working with the right realtor in Gloucester County can be a game changer when it comes to your real estate investment! If you are ready to make a real estate investment or find a foreclosed home in an age restricted community, you need the help of the best Gloucester County real estate agent available. 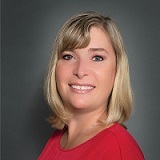 Roxanne Ardary has years of experience working with potential homeowners and investors alike. With our help, you can easily find a property that suits your needs. Whether you are an active adult looking for a foreclosed home or a new investor wanting to expand their real estate portfolio, contact us today. You will be surprised by the difference a real estate agent Gloucester County can make!